"How beautiful upon the mountains are the feet of him that bringeth good tidings unto them, that publisheth peace; that bringeth good tidings unto them of good, that publisheth salvation; that saith unto Zion: Thy God reigneth!" Jeffery R. Holland has stated, “Ultimately it is Christ who is beautiful upon the mountain. And it is His merciful promise of ‘peace in this world,’ His good tidings of ‘eternal life in the world to come’ that make us fall at His feet and call His name blessed and give thanks for the restoration of His true and living Church.”20 In the early years of the Church, the city of Nauvoo became a beautiful place for those good tidings to be received, shared, and spread throughout the world. 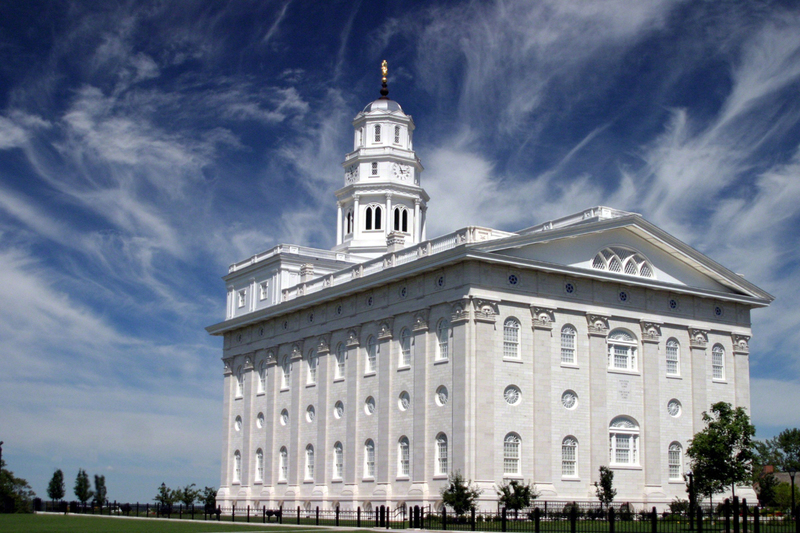 For Latter-day Saints today, Nauvoo and its history remains a reminder of the beautiful blessings of gospel. Alex D. Smith, “Organizing the Church in Nauvoo,” in Revelations in Context: The Stories Behind the Sections of the Doctrine and Covenants, ed. Matthew McBride and James Goldberg (Salt Lake City, UT: The Church of Jesus Christ of Latter-day Saints, 2016), 264–271. John A. Tvedtnes, The Most Correct Book: Insights from a Book of Mormon Scholar (Salt Lake City, UT: Cornerstone Publishing, 1999), 173–175. Dana M. Pike, “‘How Beautiful upon the Mountains’: The Imagery of Isaiah 52:7–10 and its Occurrences in the Book of Mormon” in Isaiah in the Book of Mormon, ed. Donald W. Parry and John W. Welch (Provo, UT: FARMS, 1998), 249–291. 1. Alex D. Smith, “Organizing the Church in Nauvoo,” in Revelations in Context: The Stories Behind the Sections of the Doctrine and Covenants, ed. Matthew McBride and James Goldberg (Salt Lake City, UT: The Church of Jesus Christ of Latter-day Saints, 2016), 264. 2. Dana M. Pike, “‘How Beautiful upon the Mountains’: The Imagery of Isaiah 52:7–10 and its Occurrences in the Book of Mormon” in Isaiah in the Book of Mormon, ed. Donald W. Parry and John W. Welch (Provo, UT: FARMS, 1998), 258. 3. John A. Tvedtnes, The Most Correct Book: Insights from a Book of Mormon Scholar (Salt Lake City, UT: Cornerstone Publishing, 1999), 173. 4. Joseph learned this word from his Hebrew teacher, Joshua Seixas, but the Book of Mormon may have influenced how he understood the word and the verse. 5. Pike, “‘How Beautiful upon the Mountains’”, 261. 6. Isaiah often kept different possible meanings in play. See Klaus Baltzer, Deutero-Isaiah: A Commentary on Isaiah 40–55, Hermeneia—A Critical and Historical Commentary on the Bible, trans. M Kohl (Minneapolis, MN: Fortress Press, 2001), 378. 7. This would literally translate to “how beautiful upon the mountains are the scouts of tidings,” which is better translated as “the scouts who bring tidings.” This reading is supported by the use of the word mebasher to also mean tidings and not the one who brings tidings in the second half of the verse. See George Wigram, ed., The Englishman’s Hebrew Concordance of the Old Testament: Coded with the Numbering System from Strong’s Exhaustive Concordance of the Bible (Peabody, MA: Hendrickson, 1980), s.v., reglee. 8. The people he was talking to seemed to misunderstand how prophets brought good tidings, so Abinadi had to explain this to them. This may be, in part, what prompted him to explain his two-fold interpretation. 9. For more on this, see Book of Mormon Central, “Why Would Noah's Priests Quiz Abinadi on Isaiah? (Mosiah 12:20–21),” KnoWhy 89 (April 29, 2016); Pike, “How Beautiful upon the Mountains,” 261; Tvedtnes, The Most Correct Book, 164–166. 10. His restatement of the verse in this context turns it into a Messianic statement about Himself. See Brant A. Gardner, Second Witness: Analytical and Contextual Commentary on the Book of Mormon, 6 vols. (Salt Lake City, UT: Greg Kofford Books, 2007), 5:535. 11. Pike, “How Beautiful upon the Mountains,” 271. 12. Pike, “How Beautiful upon the Mountains,” 271. 13. Pike, “How Beautiful upon the Mountains,” 271. 14. Because these messengers would travel on foot, the feet that brought the message of the gospel to the world could be seen to be “beautiful.” See Hugh Nibley, Teachings of the Book of Mormon, 4 vols. (American Fork and Provo, UT: Covenant Communications and FARMS, 2004), 2:70–71. 15. Monte S. Nyman, “Abinadi’s Commentary on Isaiah” in Mosiah, Salvation Only Through Christ, ed. Monte S. Nyman and Charles D. Tate, Jr., Book of Mormon Symposium Series, Volume 5 (Provo, UT: Religious Studies Center, Brigham Young University, 1991), 176. 16. Joseph Fielding McConkie and Robert L. Millet, Doctrinal Commentary on the Book of Mormon, 4 vols. (Salt Lake City, UT: Bookcraft, 1987–1992), 2:237. 17. Joseph Fielding McConkie, “The Final Gathering to Christ (3 Nephi 20–22),” in The Book of Mormon, Part 2: Alma 30 to Moroni, Studies in Scripture, Volume 8, ed. Kent P. Jackson (Salt Lake City, UT: Deseret Book, 1988), 191–193. 18. Victor L. Ludlow, “Isaiah chap. Review: 3 Nephi 20:32–45 // Isaiah 52:1–3, 6–15” in Book of Mormon Reference Companion, ed. Dennis L. Largey (Salt Lake City, UT: Deseret Book, 2003), 396. 19. For the symbolism of bowing down at a ruler’s feet in the ancient world, see Book of Mormon Central, “Why Did the People Fall Down at the Feet of Jesus? (3 Nephi 11:17),” KnoWhy 202 (October 5, 2016). 20. Elder Jeffrey R. Holland, “’The Peaceable Things of the Kingdom’,” Ensign, November 1996, 82, online at lds.org.